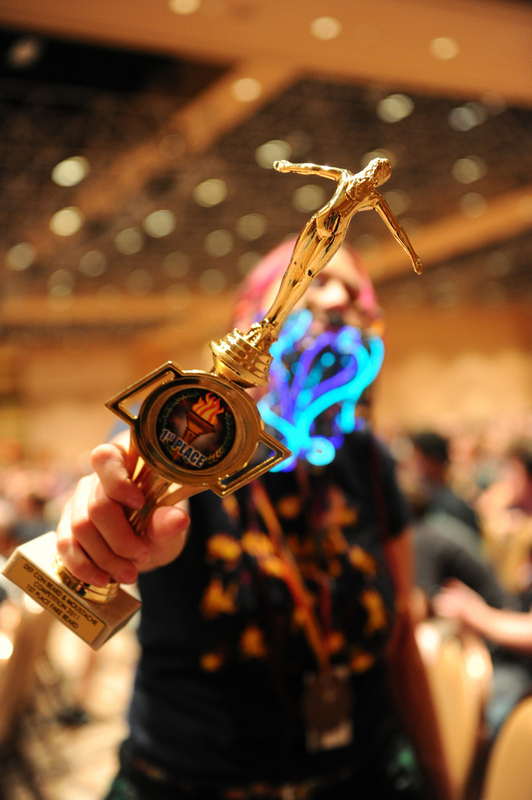 I’m finally getting around to writing a bit about DefCon 19. 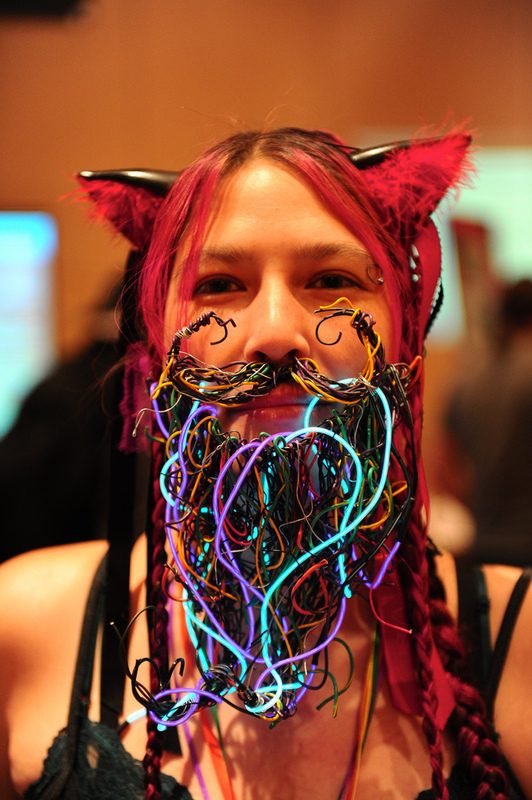 The craziest part was that I won in the fake beard category of the 1st DefCon Beard Competition while wearing a Nyan cat costume. Redbeard had asked me to enter about a week beforehand on irc, so I threw this together with bits of wire (hooray Apex salvage yard!) and el-wire (thanks Tim and Phear!). It was heavy and pokey, but a lot of fun. I highly recommend this contest for people looking for things to participate in at DefCon next year. 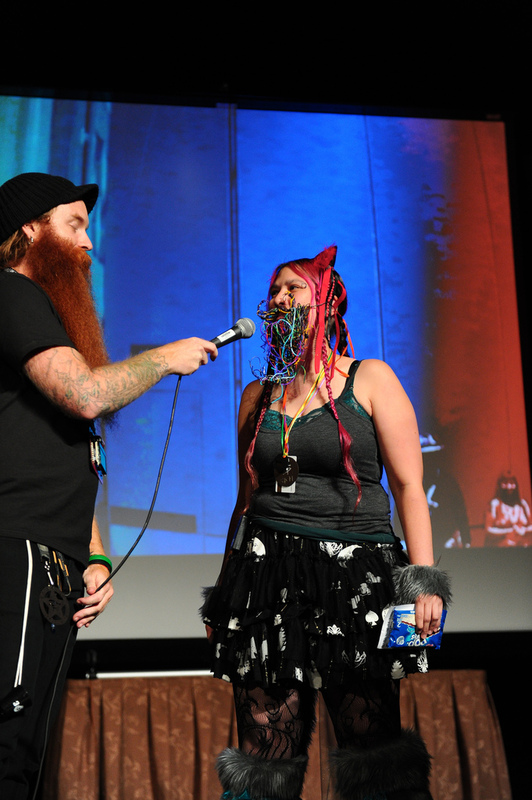 The contest itself had over 70 contestants and had categories like partial beards and full natural beards, with Redbeard MCing the entire affair. Quick overview: Telecommuted from a castle that Wednesday and went to the Recursion BlackHat party at the Atomic Testing Museum. Super fun, got to explore the exhibits. Then they hosted an afterparty at one of my favorite places in Las Vegas, the Pinball Hall of Fame. Worked from the castle again, partied at the Recursion suite some more, then had an afterparty at my suite at the Rio. 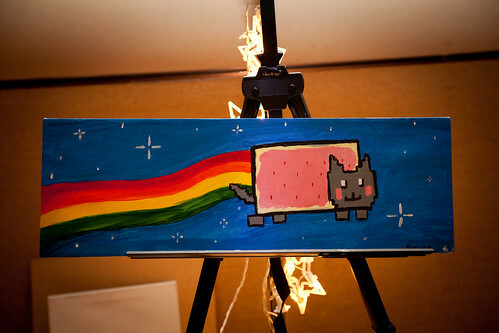 Friday was Queercon, where I did a painting of Nyan Cat. Poser bought it. Then we went to a party at Gold Coast (blanking on which this was.) It had a circular rotating bed with amazing views of Vegas. Saturday was the beard contest, Facebook party, then we partied at Fort Dugan again. Nous and the ninja girls made lots of really amazing jello shots and mini-cupcakes. DJ Bolivia and Tprophet DJed (here’s a mix). Sunday we hung out at closing ceremonies (Barkode got a standing ovation! ), saw the Scavenger Hunt shirts I designed, Gaylord indian food, Hofbrauhaus and Rumor, then we drove home. 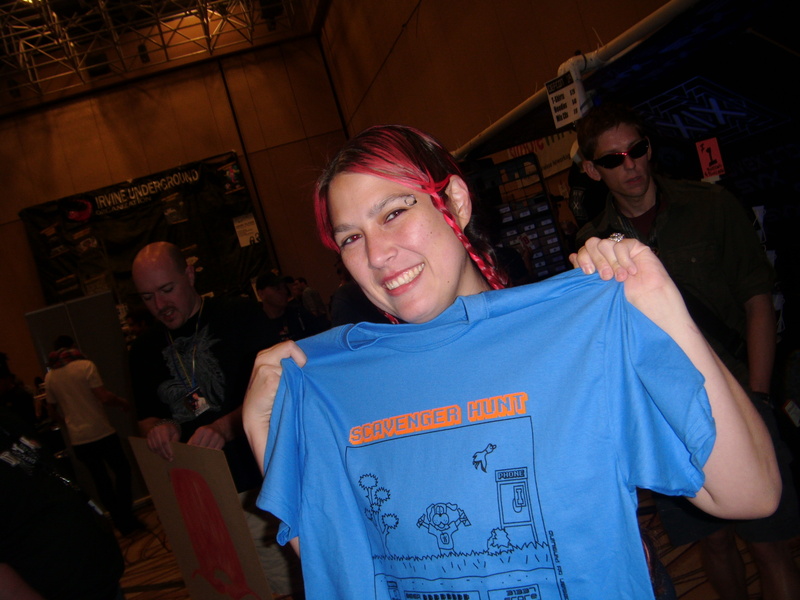 Hooray defcon! My favorite part is always the people; most of the ninjas came out for this, even people we hadn’t seen in years. Plus most of our Antarctica crew made it out, too. Can’t wait for DefCon 20 🙂 PS we are all old. oh and please note that my trophy was a bearded lady. so awesome.